Your home is your castle and as such you want to keep it as safe as possible. With the right sensors and alarm systems you can keep your home safe from all sorts of unpleasant instances. There are now more sensor types than ever before and glass break sensors are just the beginning. What is a Glass Break Sensor? A glass break sensor is just that. It is a wireless sensor that detects when the glass of a window or door is broken. These sensors are designed to work in both stay and away modes of your alarm system so they are constantly working to monitor your home. These sensors are generally not part of a standard alarm but can be added to just about any system that you have in place provided that your alarm company has them. 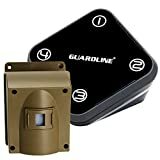 These sensors are a great first line or defense in that they are going to alert you before your alarm sounds. Also, if someone comes in through the window rather than the door, this will catch them. How do Glass Break Sensors Work? Glass break sensors work on the basic principle of frequency. These sensors detect the frequency of sound that is produced when glass is broken. They have a range of up to 20 feet in any direction so often one sensor can cover the entirety of a room and all the windows within it. 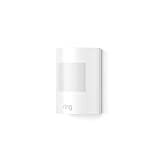 This type of sensor is great if you have a quiet home that does not have a great deal of noise that may end up setting off the sensor. These sensors are going to take in frequency data from your home and are designed to alert at sounds that reach a specific frequency. My Dog Sets Off My Sensor, What Do I Do? For those of us that have pets, we understand that there are some issues that might pop up with your pets and the sensors that you install to protect your home. For starters, the bark of a dog may be enough to set off your glass break sensors and cause you a huge headache. The best way to deal with the glass break sensor being put off by your pets is to first and foremost adjust the sensitivity of the sensor. The higher the sensitivity, the more likely it is that your sensor is going to go off with barking. You can also change the position of your sensor to better fit the barking of your dogs. Position can make a huge difference in how easily your sensors go off. You may also want to contact your alarm company and see about any troubleshooting methods that may help to change the overall function of your system and get it working better. If all else fails, you may want to invest in something like a bark box or a bark collar to help keep your pets from barking and setting off the sensor. These alternative methods are going to help keep your pets quiet and keep them from setting off sensors. 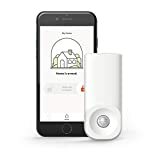 It is always best to take the time to see just what is setting off your sensor as dogs barking, kids playing, and loud noises from within the home all have the ability to set off sensors and cause trouble. For more information about glass break sensors, contact Protect America today to see what type of sensor may work best for your home.